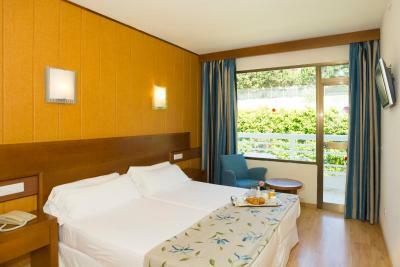 Lock in a great price for HSM Hotel President – rated 8.2 by recent guests! Location relaxing and not so turistic Good poolarea, service. very friendly staff. Nice rooms. Close to beach. Good area for golf and sports Will come back Nice eve. activities. 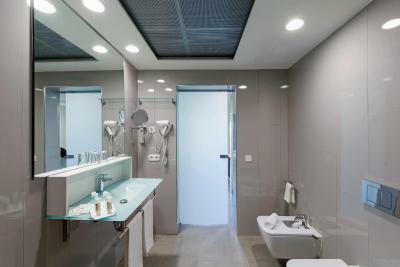 The rooms were clean and the staff were friendly and helpful. We had a junior suite. It was very modern and perfect for my husband, myself and my 19 year old daughter. Our bedroom was completely separate and my daughter said the sofa bed was very comfortable. Swimming pool, free parking, food in the restaurant was good. Nice view from room/balcon to the sea. Breakfast which was included was amazing. They provided meal options that would please anyone. Staff were helpful and always available. the potatoechips were excellent and the variety of the food was good. 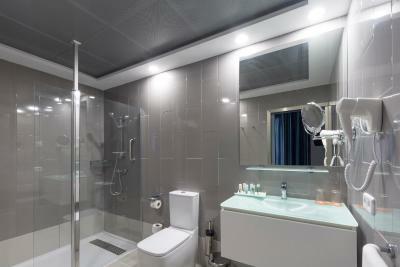 The staff was very helpful and all was very clean. 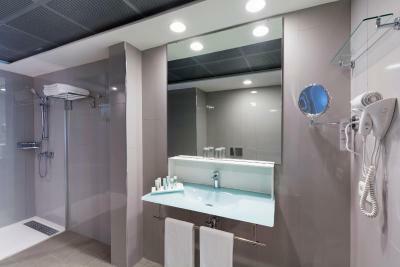 Staff, cleanliness, food and location could not be faulted. 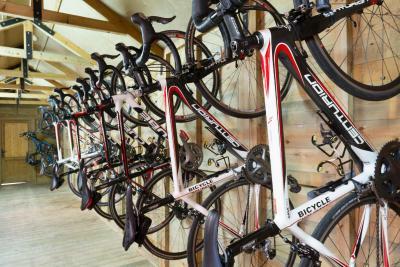 Staff were very helpful and friendly. The food was good quality and selection was great. 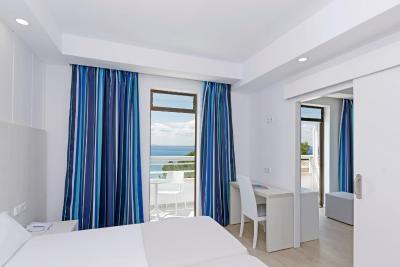 Very clean hotel and rooms. Spa favourites were great. Outside bear was lovely although closed to early. Loved the quiet location, always sun beds available in the pool areas. 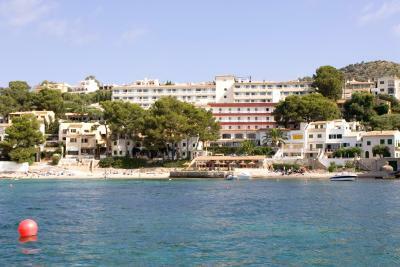 HSM Hotel President is located in beautiful part of Mallorca - Alcanada, very charming and calming place. We really enjoy our stay at the hotel. 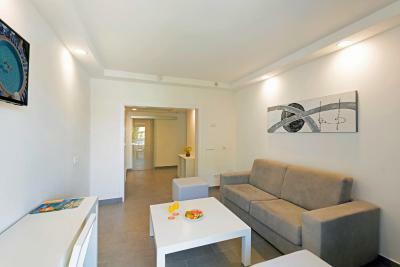 It is located in a quiet place, just few steps from little beach and picturesque streets. Little supermarket just around the corner. Staff was very friendly and helpful, serving guests always with smile, especially waiter Pepe was very polite. Meal choice was always fabulous, the variety of dishes change every day. They serve salmon and sparkling wine for breakfast too. 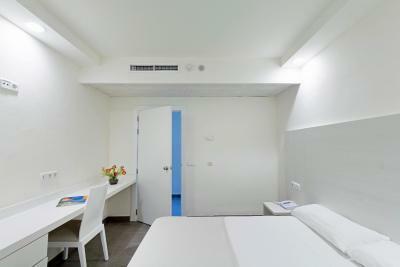 Rooms are very clean and spacious. Everything was just perfect! We feel very relaxed and hope we will come soon again. Thank you, sisters Vendy and Misha. 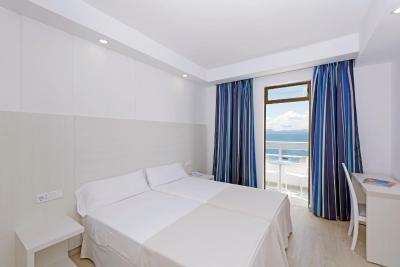 HSM Hotel President This rating is a reflection of how the property compares to the industry standard when it comes to price, facilities and services available. It's based on a self-evaluation by the property. Use this rating to help choose your stay! 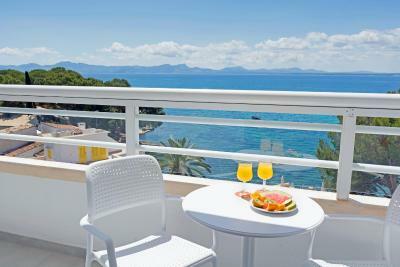 One of our top picks in Port d'Alcudia.Less than 0.6 mi from Alcúdia Bay, HSM President Hotel Majorca offers rooms with balconies. 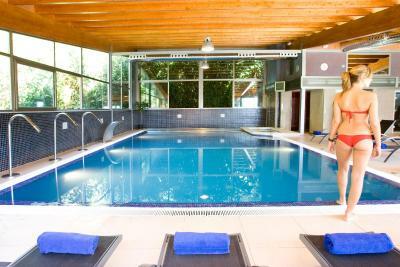 Just 50 feet from the beach, it features 4 swimming pools, a spa and a buffet restaurant. The air-conditioned rooms at Hotel Spa HMS President have simple décor with parquet floors. Each room has a flat-screen TV. 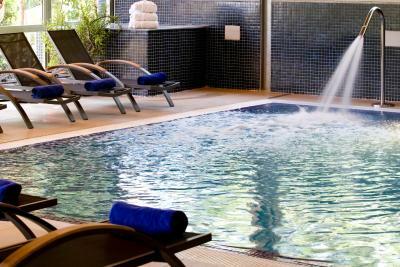 The hotel’s spa offers sea views from its indoor pool and features a hot tub, sauna and Turkish baths. There is also a gym. Choose between a wide range of hot and cold dishes available in the HSM Hotel President's restaurant as well as a tempting selection of desserts. There are also themed dinners and show cooking. 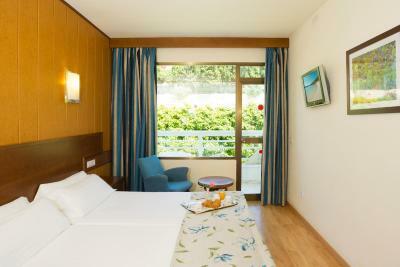 Children will have fun playing in the mini club and the hotel offers a varied entertainment program. There is also a possibility of canoeing and diving courses (additional cost). Enjoy discounted rates at various golf courses. There is a bus stop 350 feet away to make for easy touring of the island. When would you like to stay at HSM Hotel President? This air-conditioned room has simple décor with parquet floors. It has a balcony and flat-screen TV. It is not possible to put an extra bed or cot in this room type. 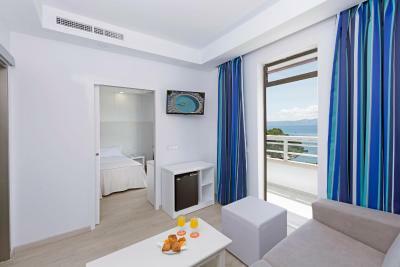 This spacious junior suite features sea views and a seating area with a sofa bed. The 4* hotel HSM President stands out for its situation in Aucanada, Alcudia, the resort full of charm & tranquillity, its high quality facilities and good service. It is a perfect choice for couples who want to have a rest and chill out enjoying the privileged environment next to the sea. 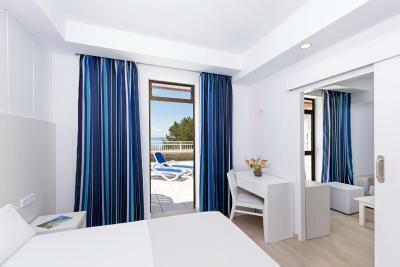 The hotel opens from May to October. 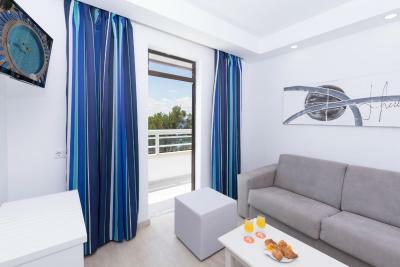 The hotel HSM President boasts of an enviable location, in a privileged residential area of Aucanada, 1,5 km from Puerto de Alcudia and 4 km from the village centre. 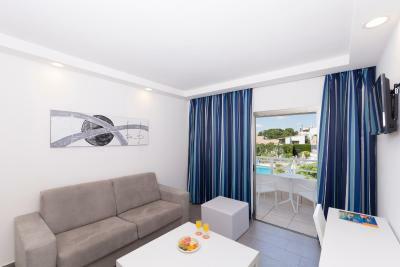 The beach is just steps away (15 m) offering spectacular view of Alcudia Bay. 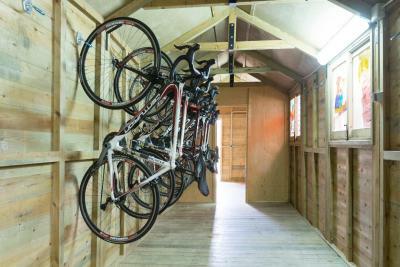 The hotel offers half board or all inclusive. 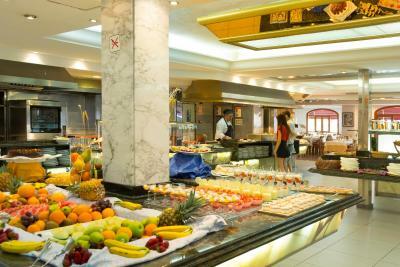 The restaurant with sea view offers extensive and modern buffet with a huge selection of cold and hot dishes, wide variety of homemade desserts. The restaurant also offers dishes prepared instantly in show cooking. 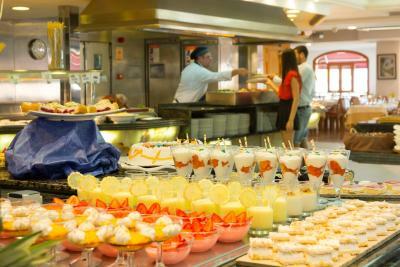 Thematic buffets. Drinks in half board are not included in the price (lunch and dinner). 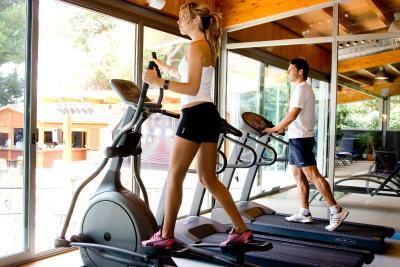 All inclusive offers, besides 3 main meals, snacks between meals and all kind of drinks (beverages, hot drinks, alcohol) and ice cream during the whole day. House Rules HSM Hotel President takes special requests – add in the next step! HSM Hotel President accepts these cards and reserves the right to temporarily hold an amount prior to arrival. 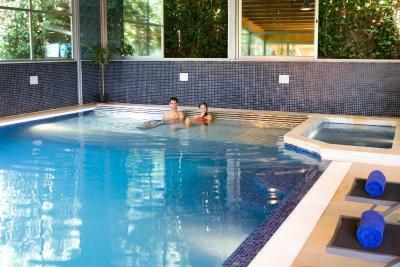 Please note that the spa is only accessible for guests of 16 years old or over. It is obligatory to use flipflops and swimming caps. Please note that half-board rates do not include drinks at diner time. The eating situation was very crowded, the atmosphere unfriendly, the light too dazzling, the noise in the room too loud and the allinclusive kind of getting vine out of the tanks was not tasty . It was not very enjoyable to eat like that. No kettles in rooms. Tap water in bar only available for all inclusive guests. Very helpful staff. 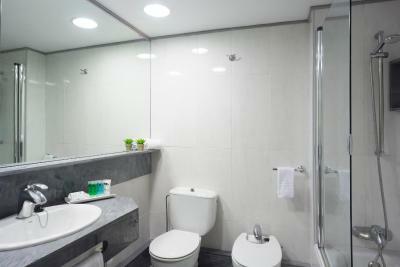 Cleanliness of whole hotel. Having to pay for water during dinner or after dinner as we were advised not to drink tap water. Beds were hard. No tea coffee making facilities inn room. Found it difficult to seat 3 of us in the dining room. First night the waiter was not helpful to add an additional place to seat 3 and there were no tables vacant together. Improved the following day. Shuttle to the Port`d Alcudia beach only 4x per day, the beach next to the hotel very small so better to go to Port`d Alcudia which was 10 min by shuttle, but maybe 30 min walking from the hotel a bit tiring then. Bus stop next to the hotel, but only goes limited times per day, better bus connections from Port`d Alcudia. Nice hotel, nice spa, good breakfast. Nice staff, very friendly. Only thing I missed is better bus connections to other places directly from the hotel. Breakfast was good, bar and pool area clean. the bed was uncomfortable ,bathroom with a rusty shower. Rooms should be renovated. There was free shuttle bus too Alcudia port but only for 8 people (hotel with capacity 500 people) SHAME !!! Very friendly nice staff , clean , the food was good. The entertainment was fun . This hotel has very old 1960/70's infrastructure. 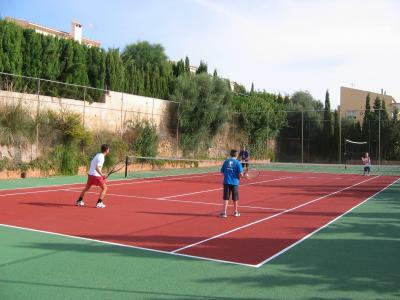 It is not located in puerto Alcudia although it is advertised like that. It is in Alcanada, 5km further. 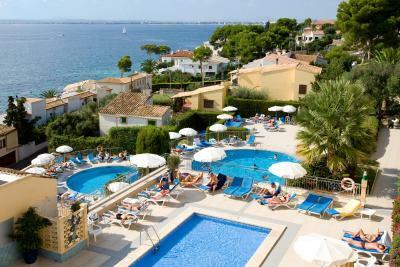 It is incomparable with modern 4 star hotels in alcudia due to its outdated infrastructure. The hotel is not situated near the beach, although it is advertised like that. There is a small area beneath the hotel where max 10 people can ly. But it is full of rocks, and therefore doesn't represent a beach. 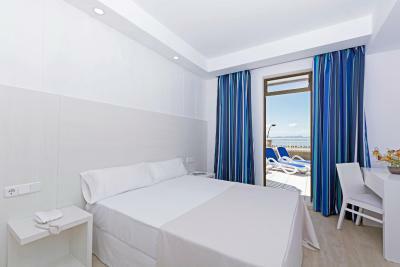 There is a shuttle service to puerto Alcudia 3 miles further which has a real beach. But this is a car and can only take max 7 persons at a time and only rides at 2 or 3 times a day. There are almost 25/30 people waiting each morning until this car returns each 15 minutes to take people back and forth. It stops going back and forth after one hour. This brings out the worst in people so by consequence some are trying to cut in line at the hotel entrance to avoid waiting in the hot sun, with aggressive behaviour between guests as a result. Not a pleasant experience. After 2 times waiting in line we gave up and walked the 3 miles. 40 minutes in 30 degrees on steep roads but we are still young and able. If you are not, you are doomed to stay near hotel surrounding the entire time or else pay for taxi to take you to interesting public places. The immediate hotel surrounding is not touristically built. There is a camping and a golf course but that's it. There is not much to do or see in the immediate surroundings. 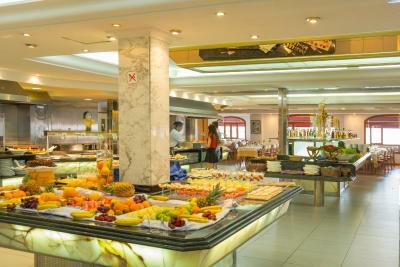 Buffet in restaurant was satisfactory. Not excellent but satisfactory. Three of the old drawers were broken in the wardrobe but these were replaced staightaway. I felt Some off the restaurant staff didn’t seem so friendly, Everyday I had push two tables together to allow 3 of us to sit together, it would be good if it was ensured this was anticipated by the restaurant staff. We attended the restaurant one day for breakfast nearing the end of the restaurant opening time. I felt this was not well received by some staff and because the restaurant staff were already setting up the lunch tables they told us in 3 different areas, we couldn’t sit at those tables but didn’t provide a service to take us to a table where we could dine, I then felt very uncomfortable while eating breakfast. I feel If there is not a proper opening service on offer until the restaurant closing time then don’t offer These as opening times. For me, It would also be nice to be able to find a morning drink (tea, coffee etc) before the restaurant opens. I naturally wake at 6am and there was no where to find a drink until the restaurant opens and when I went in for a drink only it was not well received and due to the hotel rules, I couldn’t take the drink out off the restaurant. The hotel staff were always very friendly and helpful with big smiles.